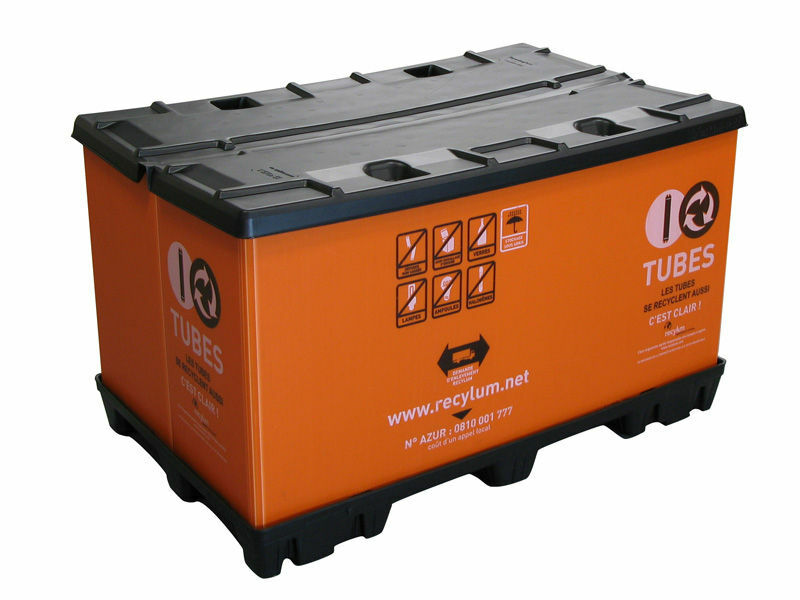 The neon tubes can be transported in a container that has flexible sidewalls as the tubes exert an even pressure on the sidewall. 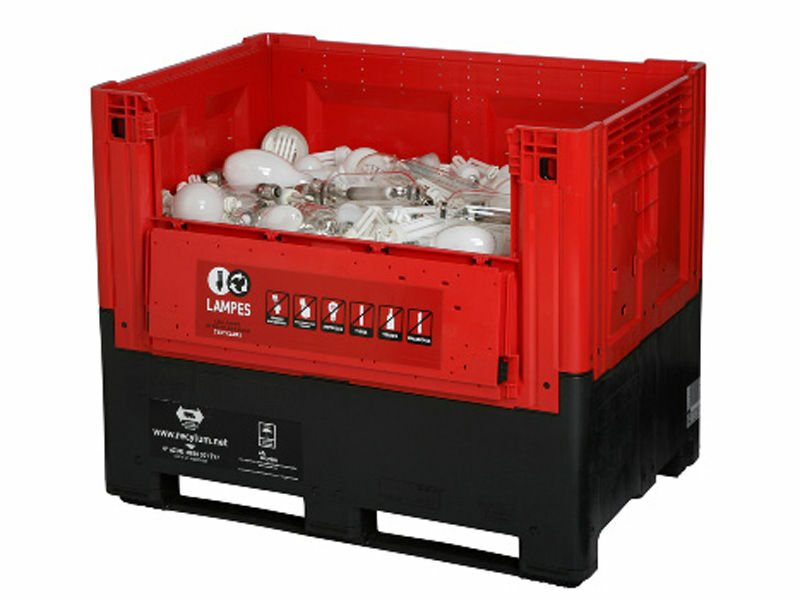 With the bulbs, however, the sidewalls are subjected to more localised pressure and must therefore be stronger. Because of manual sorting neon tubes are increasingly collected horizontally. 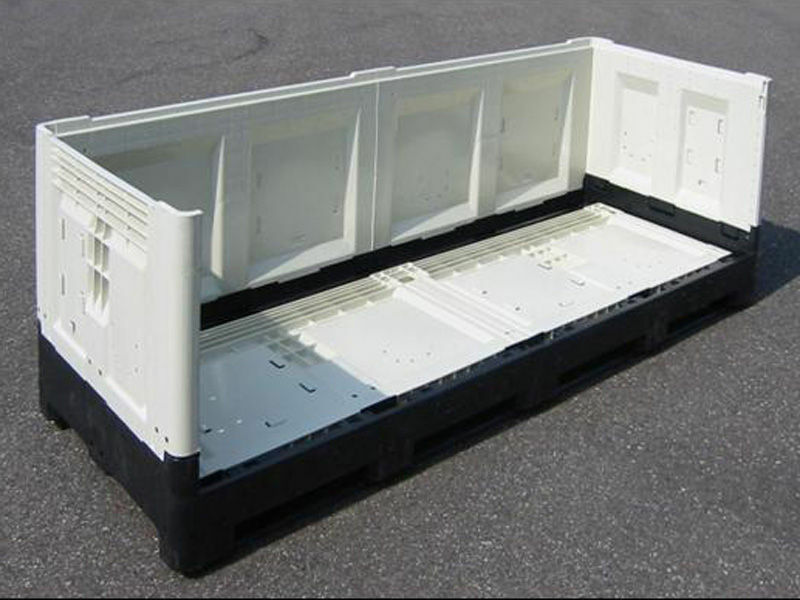 Our containers are equipped with hinged, removable covers. Other concepts that are currently offered include: the Flex-bin, a fold-up, lightweight, flexible collection container that is adjustable for normal-length TL tubes or longer TL tubes for sun beds, etc., the revolving container or the TL tube drum.